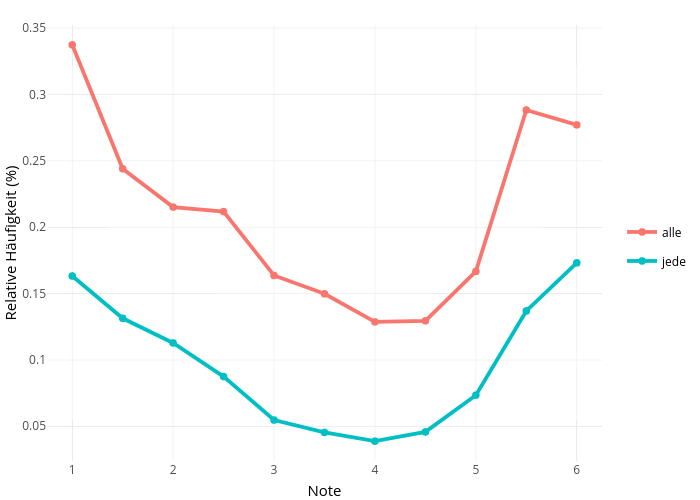 Meiervieracker's interactive graph and data of "Relative Häufigkeit (%) vs Note" is a , showing alle vs jede; with Note in the x-axis and Relative Häufigkeit (%) in the y-axis.. The x-axis shows values from 0.75 to 6.25. The y-axis shows values from 0.0239400109949833 to 0.352323523285953.